Bob would clam the bay, selling his catch out of a little shack on Cedar Bonnet Island. Then he met Ginna, who had her own knowledge of seafood, passed down by her father, a commercial fisherman out of Viking Village and owned Cassidy’s Fish Market. 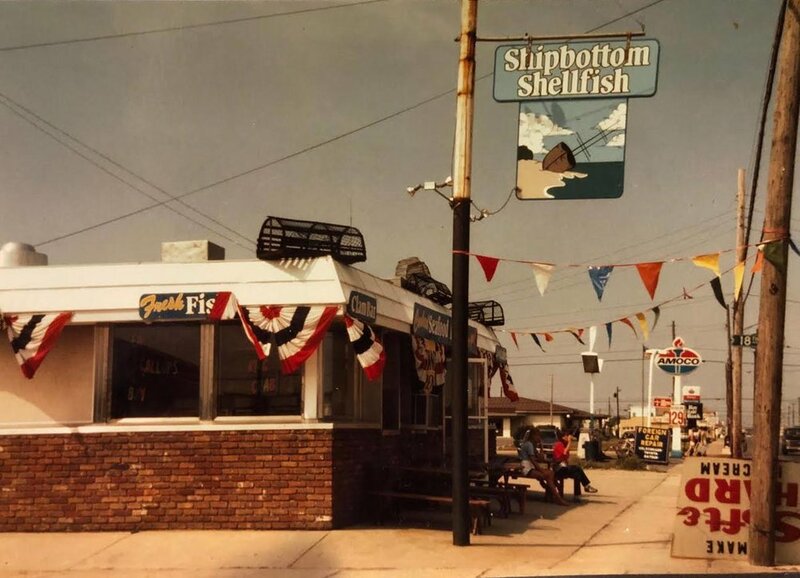 Together, they opened Ship Bottom Shellfish at its current location in 1981. The idea was to serve the freshest, top quality seafood, simply prepared in the heart of this little town. They worked long hours, every day from April to October, leaving the winter open for surfing and fishing adventures. In those travels, they found new ideas, new flavors, new creative ways to serve food from our local water. Even with an entire family of restaurants, we are still true to that original philosophy. We’re proud to see folks with their children and now grandchildren, returning to Shellfish, year after year. You might say it started with the clam, that hearty bivalve of our back bays. They’re called hard clams, or the Northern Quahogs. Little Necks, Top Necks, Cherrystones and Chowders have not only been a consistent food source from our local waters for centuries, but serve as filter feeders, clearing the bay of impurities. Harvesting clams provides jobs for locals and recreational clamming is still a fantastic way to spend a summer day. We have a long running relationship with local baymen, specifically clammers. Our clams are harvested from bountiful waters of Great Bay, just to our south, and delivered fresh daily. We source from families like the Shoemaker and the Parsons, who work their leases for generations and deliver fantastic product. We sell by the sack or serve them in the dining room - fried, steamed, in chowder or deliciously raw on the half shell.